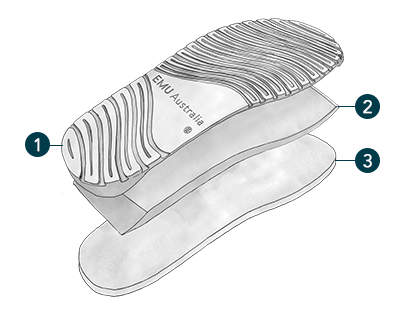 EMU Australia's Warden Stinger has been developed around our iconic sheepskin heritage, giving you ultimate comfort 365 days of the year. 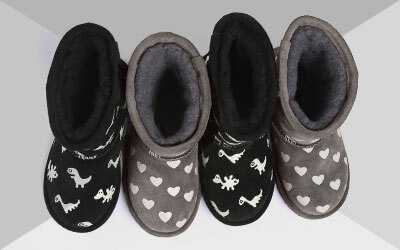 The easy on-off slide features exposed double face Australian sheepskin and a memory foam footbed. The Warden Stinger is a must-have slide for your summer wardrobe; these sandals are built around our iconic sheepskin boot. The open back provides easy on off access, whilst the soft, double face sheepskin and suede band secures your foot. The memory foam footbed and lightweight, flexible EVA and rubber sole, allows all day comfort. The durable rubber sole provides traction and grip.